Last week I found myself wondering what had become of one of my favorite American indie labels, Georgia-based This Is American Music. 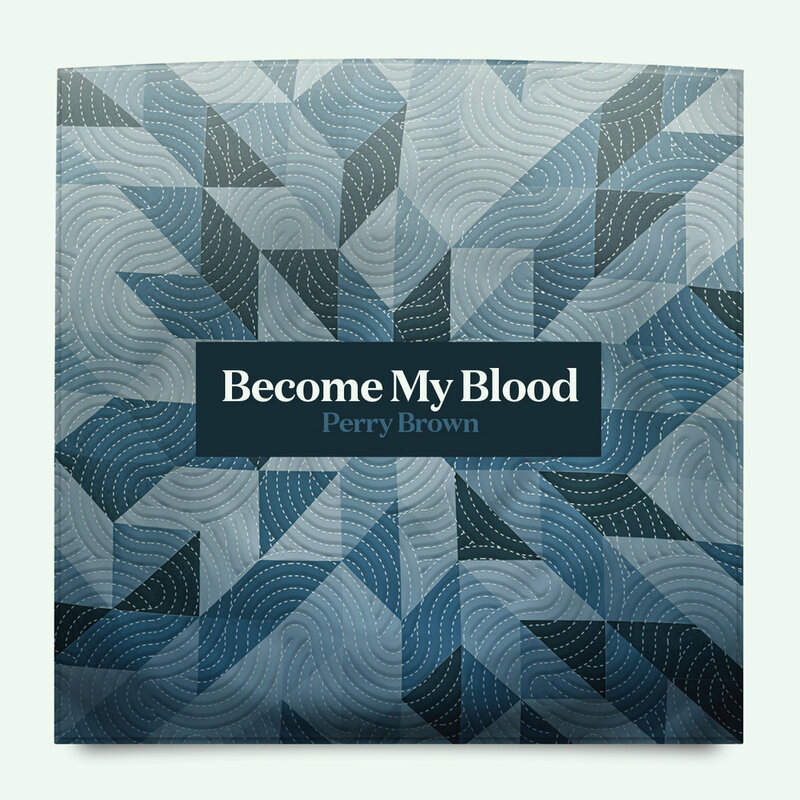 In a satisfying coincidence of timing, the label alerted me to their first release in a while, Become My Blood by Troy, Alabama's Perry Brown. For his solo album, Perry -- whose main musical job is frontman for southern rock band Fire Mountain -- tackles themes of relationships and family. Perhaps not classic rock fare, but music is all about the execution and Brown's songwriting and performance here is first class. The songs have a graceful intensity, and genuine humility in celebrating the connections that bind us together. Become My Blood sparkles musically, and sparkles with sincerity and hope as well. What a great record to help start out 2017 in music. Some bands are active, and then cease being productive and are no more than fake bands. Southern California's Froth started out as a fake band, and then became a real band. And apparently they find the real band life satisfactory, as they are about to release their third album, Outside (Briefly), via Wichita Recordings. We think Froth has a great sound, with elements of shoegaze, garage and psychedelia. Here are two cuts from the new album for your Friday pleasure. Last week a contact sent me an email with a note about a Melbourne band's new video. Despite writing up a lot of bands from that fair city over the years, I wasn't familiar with this one. And given the distinctive name - Rolling Blackouts Coastal Fever - I think I would have remembered running across them. However, this is one area of life in which there is no prize for being first, and thankfully, no penalty for being tardy. So today we'll bring you the latest single by the five-piece and advise you to look for their upcoming Sub Pop debut, The French Press EP, which will be released in March. And based on the songs from it I've heard, you also are advised to track down a copy of their 2016 album Talk Tight. Doing so is on my to do list instead of attending the Inauguration -- priorities, folks, priorities. Rolling Blackouts Coastal Fever are Tom Russo, Joe Russo, Joe White, Fran Keaney, and Marcel Tussie. It should come as no surprise that there are people in the United States who are less than thrilled with the results of the recent election. Of course, this is the case with every election -- even with "landslide" victories (which this was not) there are millions who voted the other way. But we are here to write about some of the disappointed people who aren't just sitting around complaining. They are picking a cause that matters to them and working to support it. These people are members of bands that have at least one member from the state of Wisconsin, the home state of Paul Ryan, the Speaker of the House and a man with enough front to lie about past athletic success, and then lie about his lie, but who can't bring himself to stand up to Trump very often. 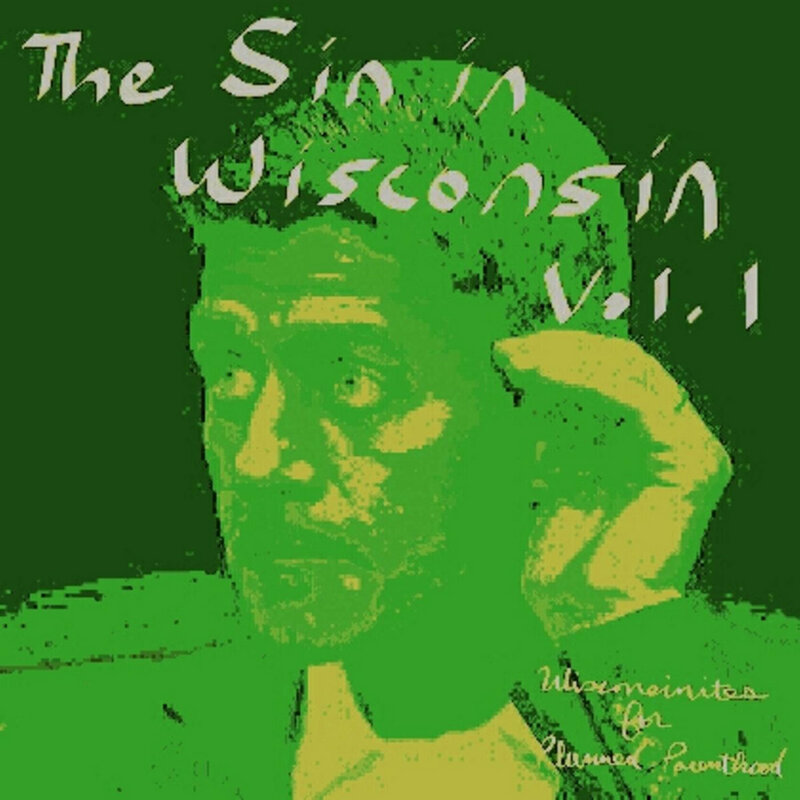 These musicians have named their effort Wisconsinites for Planned Parenthood, and they have recorded an EP titled The Sin In Wisconsin Vol. 1. The EP is available for pre-order at the Bandcamp link below, which also contains a link for further contributions for Planned Parenthood, an organization that likely is in danger under the incoming Administration and Congress. The six bands also are performing at a fundraising event for Planned Parenthood at the venerable Sunset Tavern in Seattle's Ballard neighborhood tomorrow night, January 19. I've linked the Facebook page for the event and for the Sunset Tavern below. The project is headed by Seattle musician and Wisconsin native Sam Russell. If I understand correctly, other Wisconsinites, and their bands, are Caleb Bue of Caleb & Walter, Jason Goessl, and Bart Cameron of the Foghorns, among others. I may not have all the facts correct, but if Trump and Congress don't care about the truth, ethics or conflicts of interest, should anyone really care about things like facts? 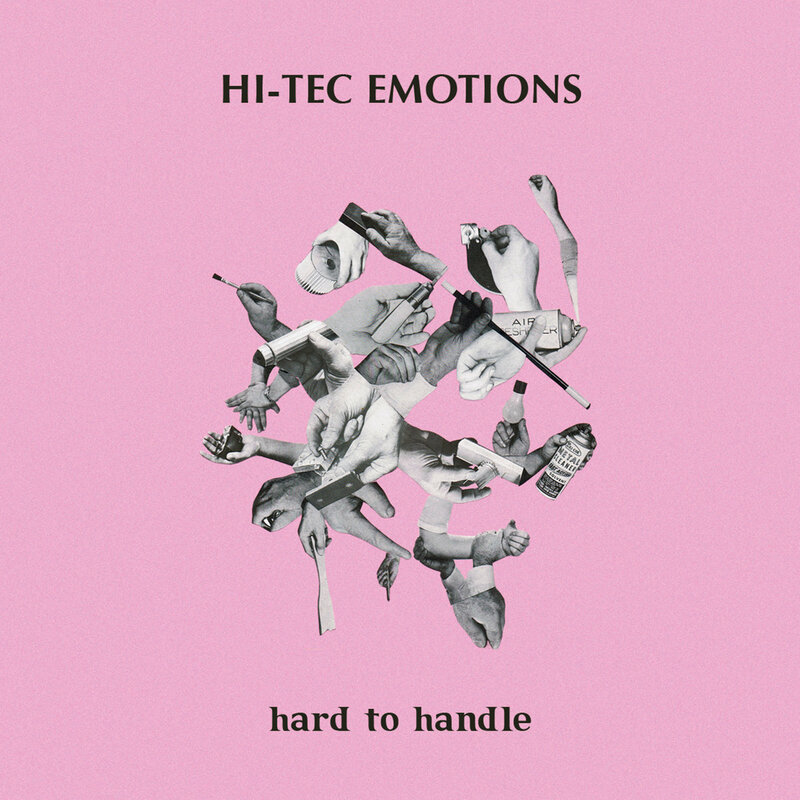 Melbourne's Hi-Tec Emotions are very good young band. They also have become our favorite substitute for energy gels. The trio refers to their music as "glow wave", but in case your favorite music glossary isn't handy, it seems to refer to a blend of punk and new wave. Your introduction to them is via Hard To Handle, a rush of tempo and energy with a sharp edge and a big heart. The band eschews guitars, relying on a keys, bass and drum format, but you'll probably be surprised by how little you will notice that decision. Your focus is drawn to the heart-on-the-sleeve lyrics, frenetic pace and, most of all, Ema Dunstan's '80s style vocals. The closing "Iridescent" shows the band is capable of a lovely ballad, but until that point this album is the best possible companion for completing your to-do list in record time with a big smile on your face. Hi-Tec Emotions are Ema Dunstan, Jess Lakotosh, and Mackenzie Randall. Hard to Handle is out now in digital and cassette formats via Listen Records. In December we featured Simple Is Good, the excellent EP by Edinburgh's Meursault (link). The band just released a video for the intense second track, "Gaslight", and we think it is well worth sharing. Meursault - By Gaslight from Song, by Toad on Vimeo. We first became familiar with singer, songwriter and guitarist James Hoare via Veronica Falls. Although that band appears to be dormant, Hoare has continued to create music in Ultimate Painting, assisting Peter Astor, and today's subject, The Proper Ornaments. In The Proper Ornaments Hoare teams up with Max Oscarnold (also known as Max Claps) of Toy and Pink Flames. After a couple of early, limited distribution releases, they dropped their first LP in 2014, the well received Wooden Head. A bit over two years later we have the pleasure of addressing the follow-up, Foxhole. In certain respects, the new album echoes its predecessor. The songs are mid-tempo, with sunny melodies walking the line between psychedelic pop, Syd Barrett, and The Velvet Underground. The vocals gently voice moody lyrics, creating an atmosphere that can be dark, but not ominous. However, Foxhole is not WoodenHead.20. The guitar sounds lines are simpler and clearer, with less distortion, and the arrangements benefit from the addition of pianos. And while there was an element of chaos in and behind Wooden Head, Foxhole emanates calm and a certain contentment nestled in the gentle hooks. And we could all use a bit of calm and contentment these days. In addition to Hoare and Oscarnold, The Proper Ornaments for Foxhole include Daniel Nellis on bass and Bobby Syme on drums. The album is out on Friday, January 20, via Slumberland Records and Tough Love Records.